I wrote an article in 2006 about my personal experience with Deeksha / Diksha. You can read about that in the previous Part in this series of articles. It is now 2014, and since writing that original article on Diksha, a lot more about it has come to my attention. This new article shares important insights into what is playing out during their so-called Diksha/Deeksha giving, and why you might want to avoid it completely if you value your spiritual sanctity. It is worth noting that “diksha” was at some point rebranded (through the direct influence of Tony Robbins, oddly enough) to “Oneness Blessings”. So this article is just as applicable to what is being called “Oneness Blessings” from the “Oneness Movement”. For the sake of consistency, I’ll continue using the word diksha in this article. How can Diksha have a dark side? It is not intended to help people become enlightened? What promoted me writing this second article on Diksha, almost nine yeas after the first, was a comment someone made. The 2006 article was still online, on a site I’d not maintained in a long time. A reader left a comment, to which I replied. An expanded version of that reply is what follows. As a coin has two sides so does the oneness movement has, even I agree. But in the meanwhile if it is helping us to reach our ultimate goal why shouldn’t we follow it and the teachings of oneness? It is one of the only organisations which I believe that can produce logical and scientific reasons for the actions in the well planned courses carried on there. And as far as Deeksha is concerned it has its own power, the only way out is to experience the same. The explanations for the negative side is where there is greed for more there is always destruction. So even in the seva if you exceed the limits the experiences shared above [referring to what I shared in my article] come into existence. Do it in proper limits and practically. I would rather say Sri Bhagavan and Amma never ever said to disturb your family and social life and full on be with the oneness flow. The moola in oneness is the RELATIONSHIP with your parents, surrounding and god. So there comes no question of defaming or blaming any body. Thank You. The first thing that seems apparent to me is that Shadedil is a follower of Sri Bhagavan. The last paragraph makes that seem fairly obvious. There is nothing wrong with that per se. But it is worth noting, as it would suggest Shadedil does not have an objective perspective on diksha, and may have a strong bias. I know numerous people who offer diksha to help “enlighten” people. In fact just a few weeks ago at a market on Waiheke Island (in Auckland, NZ) I observed some of those people giving diksha to people. On that day I had with me a person who is a gifted healer and clairvoyant (since birth). I asked her to tell me what she saw going on with the diksha givers about 30 meters from us. She immediately confirmed what I had seen years earlier, and what a number of clairvoyants in Sweden had observed and written about. I’ll get into that shortly. 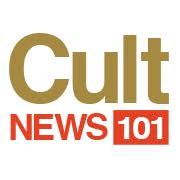 Why Are We So Fascinated by Cults?